Strange matrix stamps and imprints - what the hell is “MG-29001”, although it was deleted with mark X? 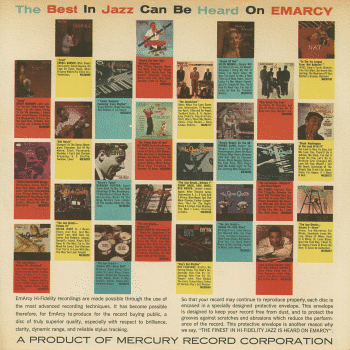 Equivalent release: EmArcy SR-80003 (stereo). Later reissued as Mercury MG-20517 (mono) and Mercury SR-60194 (stereo). with original EmArcy inner sleeve. 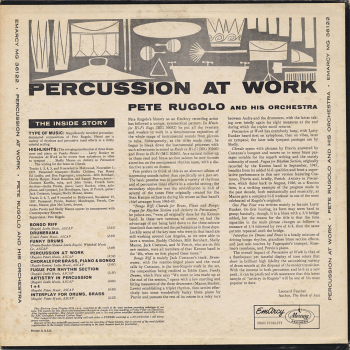 An exibition of percussions by Pete Rugolo and his friends. A great experimental ensemble fully featuring various percussions. 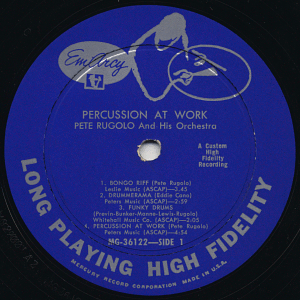 Xylophones, tympani, and drums by such famous West-Coast Jazz drummers as Larry Bunker, Shelly Manne, Mel Lewis. Jack Costanzo's bongo sound is also fine. And it should be noted that the famous pianist André Previn plays in his own touch. Not too bluesy, not too classical, but some wonderfully funky. Totally, this album is not too experimental, not too West-Coastish, and not too easy-listeningable. I love this fresh well-balanced nice sounds. Ruppli's disco says Nov. 15 session include only Mel Lewis as a drummer, while the liner-notes mentions the name of Shelly Manne (especially on B-1). Al Portch (g), Jack Costanzo (bongo), Shelly Manne (ds). 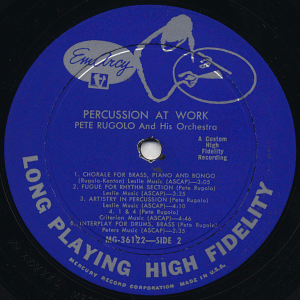 Recorded at Capitol Studios, Hollywood, CA on November 5, 1957. Al Portch (g), Jack Costanzo (bongo), Shelly Manne (ds), Mel Lewis (ds). 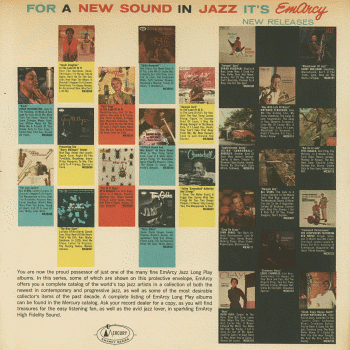 Recorded at Capitol Studios, Hollywood, CA on November 15, 1957.
visitors to this page since November 23, 2004.